"Völker Europas wahret eure heiligsten Güter", nicknamed "The Yellow Peril", an 1895 pen lithograph by Hermann Knackfuss. Public domain image. “The Yellow Peril” is one of those unfortunate turns of phrase that’s faded in the last few decades, having last been used seriously to refer to Asian Communism. It dates back to a very particular point in the 1890s, prior to which the phrasing was a little different, usually “Yellow Terror”. The upgrade from mere fright to actual peril occurred in the days immediately following the First Sino-Japanese War. Dig into the term a bit and you’ll find the surprising claim that it was actually coined by Kaiser Wilhelm. This is not quite right; the first attested use of it was in mid-1895 by István Türr, the Hungarian better-known as the man who secured the French concession for the ill-fated first attempt at the Panama Canal. But the Kaiser seems to have thought he invented it, and he certainly made it famous starting just a few months later. Just before he did he sent a picture, shown above, to Czar Nicholas II. While its formal name was “Völker Europas wahret eure heiligsten Güter” (Peoples of Europe, Protect Your Most Sacred Possessions), it was quickly nicknamed using the Kaiser’s new favorite phrase. The picture was the source of some amusement as, frankly, it’s a terrible piece of work. The artist was Hermann Knackfuss, a favorite of the Kaiser but generally acknowledged as a hack. Wilhelm’s patronage of him was seen as a sad commentary on the royal taste; that he was the one who’d sketched out the basic idea for Knackfuss to draw made things even worse. Still, artistic bumpkin or not, the Kaiser was the autocratic ruler of what was arguably the most powerful country on Earth and it accurately reflected his thoughts. The image is an allegory, with the nervous-looking figures on the left being the female personifications of various European nations (the more well-known, like Britannia with her emblazoned shield and the French Marianne in a Phrygian cap, as well as the second-tier of fame like Germania). Just to make sure we understand, a shining cross hovers miraculously in the air above them. The Archangel Michael stands, sword drawn, gesturing to the right at an oncoming bank of black cloud hellishly lit from below by a burning town. Within it, shrouded in an ominous glow, appears a threatening…Buddha? A few months before Wilhelm sent the picture to his Russian cousin, syncretically Buddhist Japan had declared war on China and quickly demonstrated that their quarter-century of westernization had paid off. Their surprising and complete victory over China implied that they could now hold their own against a European country and that was something new, a hole punched in the supremacy the West had enjoyed for the last couple of hundred years. It left the European powers wary and looking for a way to react. For the Kaiser, his suspicions crystallized into general paranoia about invading Asian hordes; in trying communicate those thoughts to Nicholas II, he had something more specific in mind. 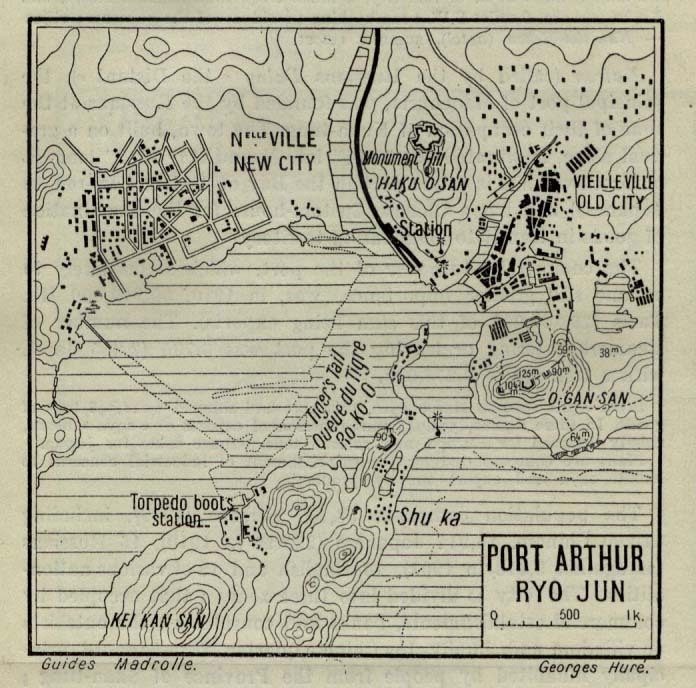 The formal point of contention between Japan and China had been Korea, which China claimed as a tributary and which Japan wanted to pry loose (their ultimate goal was annexation, which they would achieve in 1910). 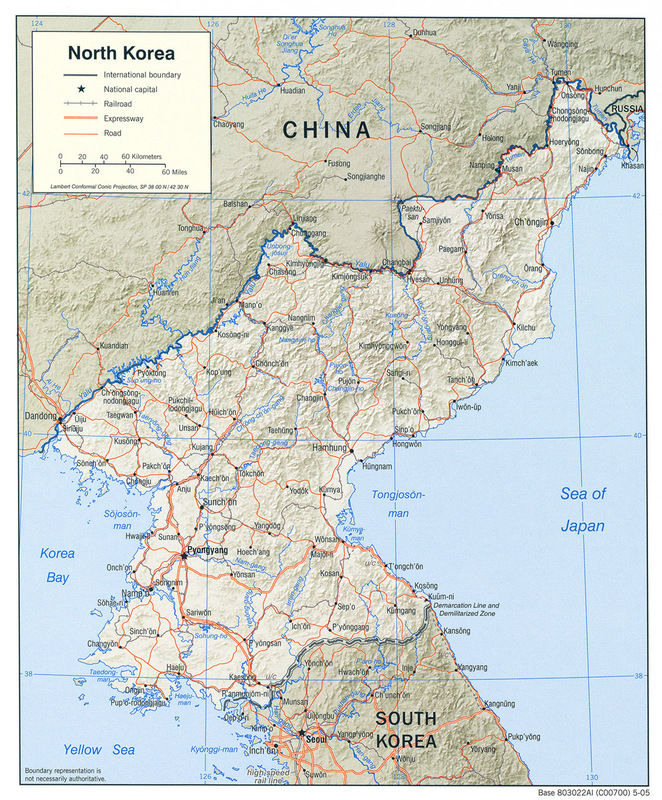 Korea had also been on the radar for Russia, as the latter had claimed what was then part of China north of the Amur River in 1858 and Korea butted against that—if you take a close look at a map, you’ll notice that North Korea and Russia actually have an 18.3 kilometer common border even today. Now the Russians had a rival, an apparently Westernized power with much shorter supply lines that not only could resist Russian expansion in the Far East but explicitly claimed some of what Russia wanted. On top of that, Nicholas II had inherited his throne only the year before, and the long-time Russian Foreign Minister, Nikolai Karlovich Girs, had died as well. Kaiser Wilhelm clearly thought that a push might get an uncertain administration moving in a direction he wanted. Besides the geopolitics, there was also a personal dimension to the tension. In 1891, while still the heir apparent, Nicholas was sent on a world tour—a tradition for Russian royalty intended to give their future czars and princes some sophistication. In the particular case of Nicholas he was sent through Suez, across India, through the Dutch East Indies and on to China. After leaving China he went to Japan, and it was there that his attitude toward the Japanese was altered for the worse. While visiting Lake Biwa, a few miles from Kyoto, one of his Japanese security detail, Tsuda Sanzō, tried to kill him with a saber. Sanzō’s first cut left a long, but shallow wound on the tsarevich’s forehead, at which point Prince George of Greece (also Nicholas’ cousin, and who had accompanied him on the voyage) managed to parry a second stroke. The assassin fled, but was quickly captured. He would be sentenced to seven years for the so-called Ōtsu incident, but died in prison under mysterious circumstances within a few months. The attempt on his life seems to have scarred Nicholas psychologically as well as physically. He left Japan soon after, and for the rest of his life would commonly refer to Japanese as “yellow monkeys”. Having Japan suddenly show its strength on his far eastern border was likely something of a personal nightmare. He was exactly the sort of person to respond to Wilhelm’s provocation. He did. Russia (along with their reluctant ally France) and Germany intervened in the peace negotiations between China and Japan. The Treaty of Shimonoseki had been agreed to, but the three convinced Japan that they would be much happier if one of the main clauses of the treaty—the cession of the Liaodong Peninsula—were cancelled. Japan took their intervention as a threat of war and agreed, but the change threw into highlight a fundamental division in Japan. The civilian portion of the government had already known they weren’t going to be allowed to carve out a sphere of influence in Manchuria (which was essentially what their possession of the peninsula would do) and had arranged for Taiwan to become a Japanese colony; the army, however, had put pressure on to claim both Taiwan and Liaodong. When the Triple Intervention hit, the army blamed the diplomats for bungling the peace negotiations and not their own greed. Matters got worse when the Russians blatantly started building a railway down the peninsula just a few months later, after which they took over Lüshun, the Chinese naval base at its tip. During the Boxer Rebellion, the Russian Empire moved 100,000 troops into Manchuria and then refused to leave. Manchuria was essentially annexed to Russia instead of Japan, though they tried to cover up the facts by signing a 25-year lease for the tip of the peninsula, where they founded the town Dal’niy (“Distant”, in Russian). This is the present-day city of Dalian, which is is one of modern China’s most important industrial cities and has a population of 6.8 million, but its roots are in Russia’s humiliation of Japan. And the Japanese certainly treated the intervention as something to be avenged. One of their main war aims had been to demonstrate that they were now the equals of the Western nations. To a large extent it worked, as in the next few years they managed to revise all of the unequal treaties they had been forced to sign, a feat China didn’t managed to accomplish until at least the end of World War II (and considerably later if one considers that Hong Kong wasn’t handed back until 1997). The Triple Intervention had been the one backfire in this plan, and as a gain in respect was more important to the Japanese general public than anything that happened in Korea, it gave the Japanese military and the bulk of Japan’s population a common goal that couldn’t be ignored by the government. A contemporary newspaper editorial in The Japan Weekly Mail (a Yokohama newspaper that printed translations of Japanese news for the benefit of English readers) runs in part: “justice and sentiment find no place in modern diplomacy, but that all questions are in practice solved by mere brute force.” The Japanese felt they now had the measure of the West, and knew how they needed to proceed from there. The revised Treaty of Shimonoseki had China pay Japan 230 million Kuping taels as a war indemnity; the Kuping tael was a pseudo-monetary unit used in China consisting of 37.3 grams of silver, so in total this was 8,579,000 kilograms of the precious metal. It’s a bit tricky to translate that into modern values, but at the going price for silver in the US in the 1890s that’s something like US$150 million. Adjusting for inflation, that in turn gets you about US$4 billion in 2009 currency. Japan invested virtually all of it in their military over the next nine years. In 1902 they signed a defensive alliance with the UK which essentially prevented Germany or France from helping Russia fight Japan. Having cut their victim loose from the herd, they declared war on Russia in 1904. 130,000 dead later, they had a second upset win, another great boost in the eyes of the West, and a decisive tilt toward militarism that would only end with a vastly larger number of dead in 1945. Meanwhile Russia was weakened to the point that they finally and belatedly began the modernization program which frightened Germany so badly that Kaiser Wilhelm and his military men felt compelled to declare war themselves before the burgeoning colossus couldn’t be defeated. And since, in that initial period of weakness, Russia’s ally France had managed to rope the United Kingdom into their defense pact, 1914 wasn’t a very good year either. Something like this would have happened without “The Yellow Peril”; the picture was a symptom of the world’s problems more than a cause. Still, as part of Kaiser Wilhelm’s manipulation of his young cousin and in light of the specific ham-handed actions the czar took over the next dozen years, it had its influence on the exact course of events. It all worked out in the end, but not before an unprecedented amount of blood was shed. Meanwhile, Hermann Knackfuss died peacefully in Kassel, Germany on May 17th, 1915, just a few days after the sinking of the Lusitania but long before he had a chance to see just how much mischief his tacky piece of kitsch managed to accomplish. Thanks for the insight. Hope to return for another healthy portion later. Terrific post. I’m currently watching “Fall of Eagles” where one of the shows begins with the presentation of the painting to Nicolas as Wilhelm explains its meaning through his letter. Living in Peking where, if one looks, traces of the Boxer revolt still linger, the painting provides especial meaning. Just one thing – Knackfuss was actually not considered just such a hack – it’s just that end-nineteenth-century official history painting has been out of fashion for a long time, and art historians focusing on the so called avant-garde have done much to obliterate those artists and their work. He was a professor at an art academy, he was also a renowned art historian, publishing some good books on the Old Masters. Having said that, the picture is indeed awful (in both style and meaning) and frightfully telling of some of the political positions in Wilhelmine Germany, Europe and frankly, almost anywhere in the Western world. I am glad our modern look on China today is quite different – or is it? Thanks for the extra information about Knackfuss. It’s difficult to find much about him, even with Google Books to help, thanks to my poor German language skills. I may change the word “hack” when I revise the chapter for publication, or I may not. Your criticism is valid, but even as someone untrained in art I still react to the lithograph is “Yes! Hermann! We understand already, please stop putting even more symbols in!” which says a lot to me despite his other accomplishments. Our modern look on China in relation to Völker Europas… is interesting because I’ve sometimes thought there are useful parallels between modern China and Wilhelmine Germany: two up-and-coming technocratic nations, made of people who have little control over their political fate yet were perhaps a little over-proud of their country. Thankfully, the CCC seems less interested in militarism than the German government did a century or more ago. Good read, i at first sympathized a lot with Nicholas, but after reading about some of his behavior in my Russian history class i find him to be much less likeable, although he was definitely in a very undesirable position.